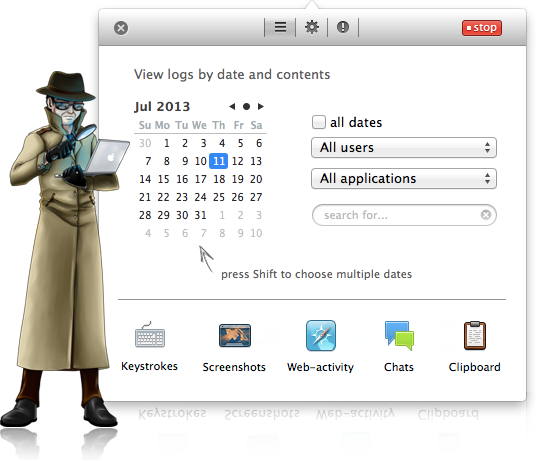 The best keylogger for Mac. Easy and invisible. Elite Keylogger for Mac 1.8.301 adds support for macOS 10.13 High Sierra. See what else is new. Keyloggers are one of the most polarizing categories of tools out there. Some consider them to be useful monitoring tools, while others see them as a hidden threat and even as the most dangerous security risk in enterprise networks. By the end of this article, you will have all the information you need to not only for your own opinion on keylogger tools, but also use them in practice for a variety of different purposes. Keylogging, which is short for keystroke logging, is the act of recording the keys pressed on a computer keyboard. Keylogging is accomplished using key loggers, which come in two distinct varieties: software keyloggers and hardware keyloggers. As the name suggests, hardware keylogger is a physical device that record the keys pressed on a computer keyboard without depending on any software being installed on the target computer. For example, there are USB keyloggers that can be plugged into any Windows XP, 7, 8, 10, Linux, and Mac computer to automatically record several GB of key presses from any USB keyboard. Some USB keyloggers can then even transmit the recorded data wirelessly, making them highly discrete and versatile. Keyboard overlays are another popular form-factor of hardware key loggers. They are often placed by criminals on ATMs to capture PINs. Some of the more sophisticated hardware keyloggers monitor the sound created by someone typing on a computer and perform acoustic cryptoanalysis to identify which keystroke signature relates to which keyboard character, or they capture the electromagnetic emissions of a wired keyboard from a distance, allowing for remote surveillance. Software keylogger is a computer program that runs on the target computer and record all keystrokes presses. One such key logger is even part of the Windows 10 operating system, and its purpose is to send Microsoft information about users’ writing habits and typing patterns to help the company improve typing and writing services. Most modern software keyloggers offer various related features in addition to the ability to record keystrokes pressed on Windows and Mac computer. For example, software keystroke recorder with support for clipboard logging automatically record everything that has been copied to the clipboard, and keyloggers with screen logging support can take screenshots of the entire screen or a specific application, capturing its content as well as the position of the mouse cursor. Last year, a large-scale spam campaign where attackers distributed a Word document containing a self-executing script programmed to install the Ursnif keylogger software has been detected by security researchers. “Once started, Ursnif will record your keystrokes, programs you open, files you create, and data you copy into the Windows clipboard and save them into log files in the %Temp% folder”, – wrote the creator and owner of BleepingComputer.com, Lawrence Abrams. After a while, Ursnif automatically sends the log files to a server under the control of the attackers, who carefully analyze their content while looking for any information that could be used for illegal profit, such as passwords or social security numbers. Ursnif isn’t by far the only key logger distributed for malicious purposes. In fact, Cristine Hoepers, the manager of Brazil’s Computer Emergency Response Team, said that keyloggers are by far the most common method cybercriminals in the country use to commit fraud. And that was back in 2006. Since then, keyloggers have only become more sophisticated and feature-packed, and cybercriminals more cunning in their use of them. Because of Ursnif and other similar keyloggers whose sole purpose is to enable cybercriminals to commit fraud, many people don’t even realize that keyloggers have many legitimated uses. For example, business owners rely on key loggers to ensure that their employees only use computers for work-related purposes. Companies also sometimes use keyloggers to track the input of sensitive keywords and key phrases to stop information leaks and corporate espionage. Parents use keyloggers to monitor what their children do on the Internet, and spouses and partners can use a keylogger when they suspect their significant other of virtual cheating. There is also a number of documented cases of the law enforcement using a keylogger to gather evidence for prosecution. While it may seem that key loggers are always installed secretly on a computer of someone who is not aware of their presence, this couldn’t be further from the truth. Many computer users willingly install keylogger software on their computer to track their own activity, which allows them to retrieve previously typed text or clipboard content. As you can see, key loggers are used by many different kinds of computer users for a variety of different purposes—some of them legal and some of them illegal. It’s true that some keyloggers are created by cybercriminals for the sole purpose of committing fraud, but most are legitimate software tools developed by reputable companies. Selecting the best keylogger is not an easy task. When coming up with this list of top 3 best keylogger tools currently available, we have considered many different factors, including features, user reviews, price, ease of use, customer support, and real-world performance. 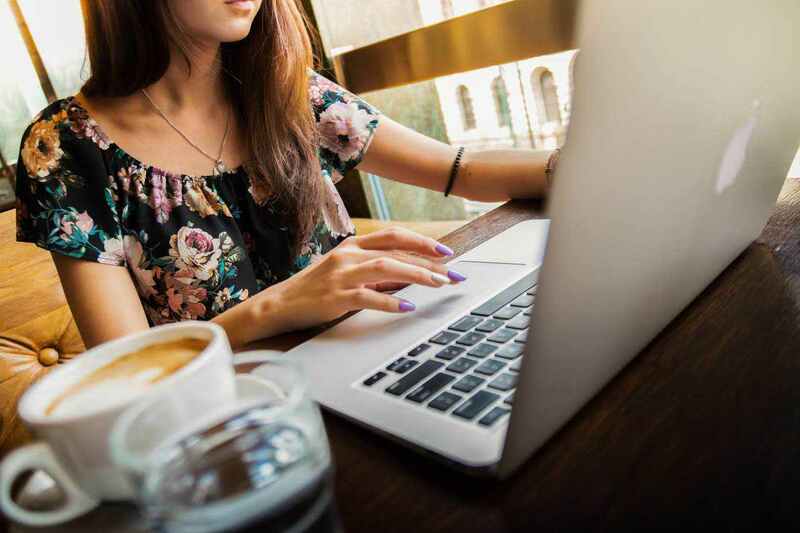 Although there is no truly perfect keylogger, Elite Keylogger for Mac comes much closer to perfection than any other keylogger software we’ve tested, making it the best keylogger there is. 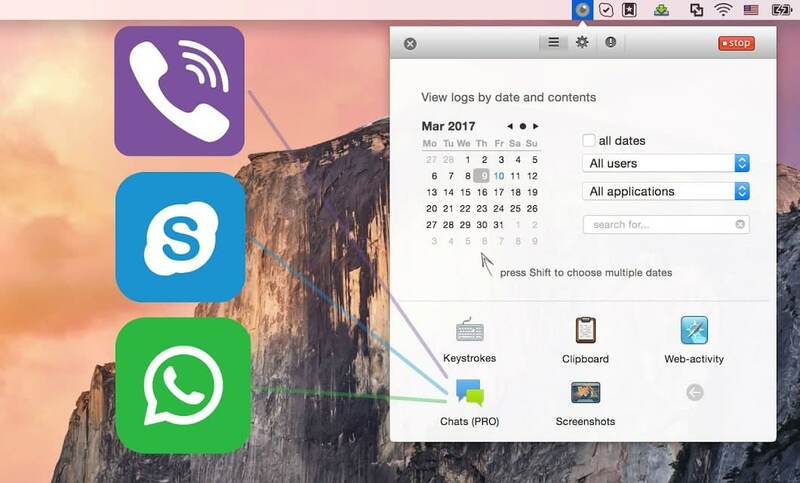 As the best Mac keylogger, Elite Keylogger for Mac can offer a wide range of features, including the ability to monitor keystrokes, capture chats, take screenshots, track visited websites, and send comprehensive activity reports via email. Unlike many other Mac keylogger software solutions, Elite Keylogger for Mac has an extremely well-designed user interface that’s as intuitive as it is feature-packed. But what has earned Elite Keylogger for Mac its excellent reputation as the best keylogger for Mac is its complete undetectability. You might not expect to be able to download keylogger like this for free, but Elite Keylogger for Mac can be downloaded from its official website and tested without any limitations. It’s completely up to you to decide whether you need to upgrade to Elite Keylogger PRO or stick with the free version. Regardless of which version of Elite Keylogger for Mac you choose, you can be sure that you’re using the best Mac keylogger there is. Aobo Keylogger is a powerful Mac keylogger that stands above many other keyloggers with its comprehensive features and good reputation. The software has been in development for a while now, so its developers had enough time to iron out just about every serious bug. Perhaps due to its age, Aobo Keylogger seems to be lacking polish as we’ve found Elite Keylogger for Mac and several other free keyloggers for Mac to be easier to use. We appreciate that Aobo Keylogger comes with 24/7 customer support by email, ticket, or live chat, but we don’t like that the free version is limited to just 3 days. 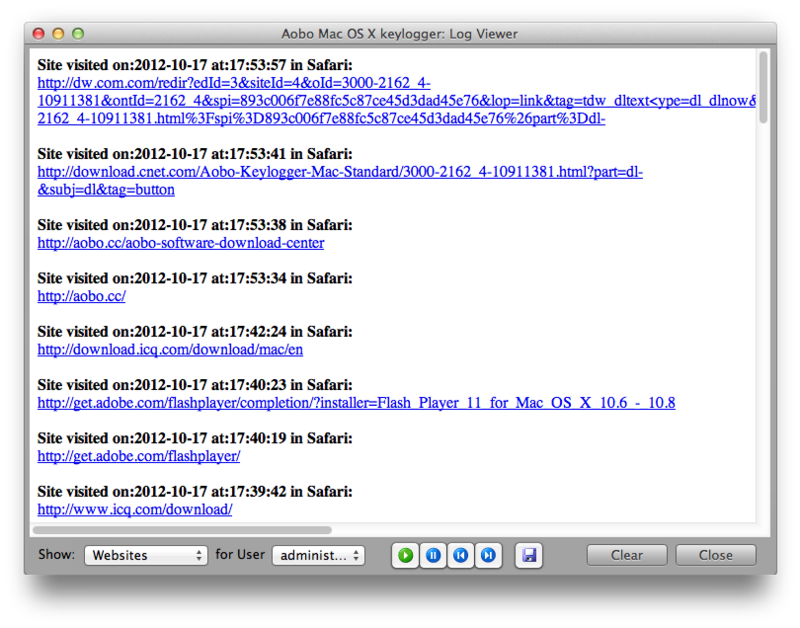 logKext is an open source keylogger for Mac OS X computers that is controlled entirely from the command-line. What we like the most about this free keylogger software are its simplicity and reliability. If you don’t mind using the Terminal app, logKext is a perfect way how you can create logs of activity on your computer for monitoring or analytic purposes. 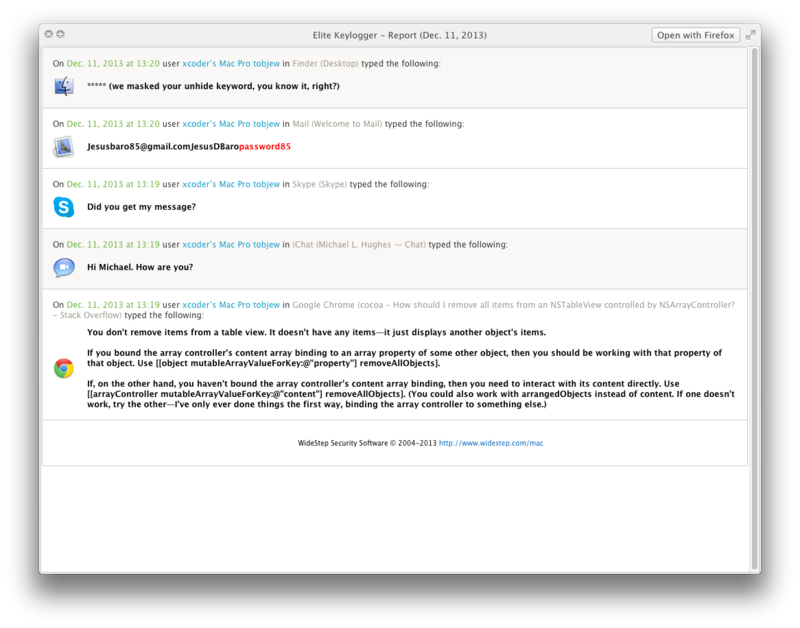 Because logKext doesn’t have any graphical user interface (GUI), we don’t recommend it to beginners who want a Mac keylogger they can use without reading a manual. We also don’t recommend logKext to those who would like to use some of the more advanced features, such as those supported by Elite Keylogger, which we consider to be the best Mac keystroke recorder. What this means in practice is that the use of keylogging software is legal as long as you own the computer you are installing it on or have been given administrative privileges to the computer from its owner. If you install a keylogger on your personal computer and your partner or spouse decides to use it and gets caught cheating, you have every right to use the log files as evidence in court. But installing a keylogger on a computer that belongs to your partner or spouse is a crime. Similarly, if you share your computer with someone, and you both have your individual account on the computer, you have no legal right to attach a hardware key logger to the keyboard because you would be monitoring not only your activity, but also the activity of the other person. You could, however, install a software keylogger and use it to monitor only your user account and not the account of the other person. How to Detect if a Keylogger is Installed? Learning how to install a keylogger is much simple than learning how to detect keyloggers. Because there are two distinct types of keyloggers—software keyloggers and hardware keyloggers—there is no simple approach how to reliably detect all key loggers in a single swoop. Hardware keyloggers are arguably easier to detect than software key loggers because most of them attach directly to the computer via a USB or PS/2 port. If you notice that there is an unknown device attached to your computer, with your keyboard attached to the device, the chances are that it’s a hardware keylogger. We highly recommend you go online and look at some pictures of hardware keyloggers to get a better idea of how they typically look. Keep in mind that there is a big difference between consumer-grade hardware keyloggers, which cost around $100, and professional-grade hardware key loggers, which might cost thousands of dollars or not be available for sale online at all. The most basic tactic how to detect a software key logger is to use a task manager such as the one included with the Windows operating system or, for example, DGlances, which is available on all major operating systems and is open source, and look for any suspicious activity. Not all software keyloggers can be easily detected, and some may seemingly not show up in your task manager at all. In such case, your best bet might be antimalware software capable of detecting software keyloggers based on their behavior. How to Remove Keylogger Software? Open your task manager of choice (press Ctrl + Alt + Del on Windows to open the Task Manager) and look at all the processes currently running on your computer. Among the processes will be some familiar applications as well as various system processes. Some keyloggers are named quite descriptively, so it’s very easy to tell them apart from other processes. If you spot such a keylogger, you should note where it is located so you can both kill the process and remove the executable file from your hard drive. You may also come across an obfuscated key logger that keeps coming back even after being removed. To save yourself time and energy, it’s best to let antimalware software handle the removal of such keylogger for you. There are many comprehensive antimalware solutions available for all operating systems, and you can find their list here. Regardless of which antimalware solution you choose, you will likely be asked to start your operating system in Safe Mode to prevent the keylogger you want to remove from starting and potentially finding a way how to hide from your antimalware solution. You can’t completely remove keylogger on Mac using anti-virus program or dragging the app to the trash. The only correct way to uninstall keystroke recorder software on Mac is from inside the application. In case the software in completely invisible, the only way to get rid of keylogger on Mac is to re-install your Mac OS.